I first heard this recording back in 2008, at the time I thought it was quite extreme and recorded to create fear... I was not impressed! 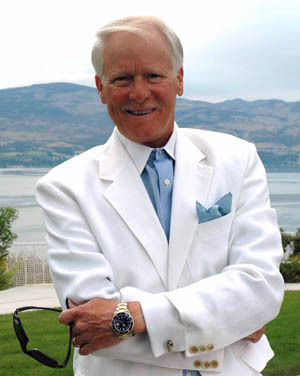 I've since become aquainted with Mark Yarnell through numerous telephone conversations, he now resides in the interior of British Columbia with his wife Valerie. Fast forward a few years... it's now clear that this message may have been a little conservative at the time, it's an important message. I have been given permission from Mark to post this audio for and it's worth a listen although the message is a little extreme. I would appreciate opinions on this recording, I am happy to remove it if you feel that it is not suited for our library. Mark Yarnell is an accomplished author, orator, and international business leader with twenty-one years of applied Network & Direct Sales Marketing experience. He has built a successful international distribution organization of more than 300,000 marketing representatives in twenty-one countries. Mark has delivered presentations and speeches throughout North America, Europe and Asia and has authored and published several bestsellers, including Your First Year in Network Marketing, Self-Wealth and Your Best Year in Network Marketing. As a respected advocate of the Network Marketing Industry, Mark was the first and only person from Networking to serve as Contributing Editor to Success Magazine. He and Dr. Charles King of Harvard University created the first certification course in Network Marketing taught at the University of Illinois, Chicago and in Seoul, Korea since 1993. Mark has been honored and recognized internationally with numerous awards in the industry, including the American Dream Award, Leadership Award, Distributor of the Year Award, and was named the Greatest Networker in the World by Upline Magazine.